Do you need a dishwasher repairman? 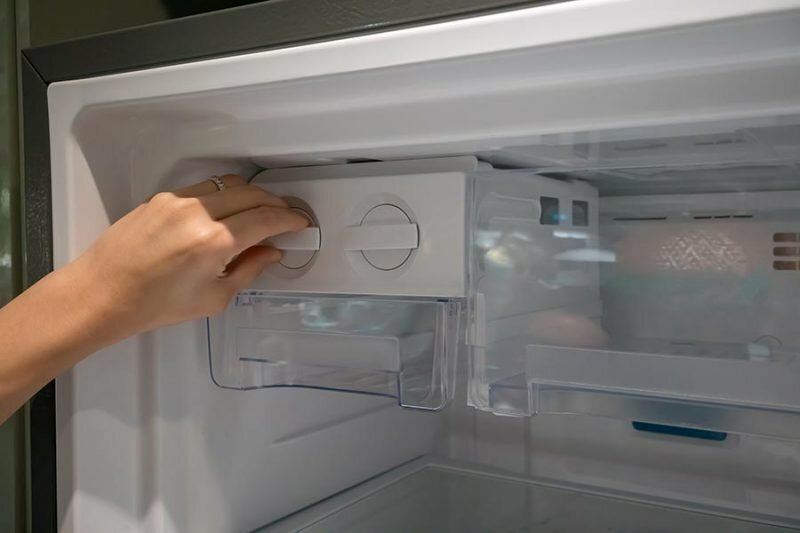 Does your refrigerator need to be fixed? Is your oven not getting hot? Are you struggling with a washing machine that leaves your clothes dirty? Then call the best local appliance repair in Scottsdale, GA.
Our reliable, same-day service is what you need to get your broken appliance back up and running fast. When it comes to appliance repair, speed is important. You can’t wait a week for service on your oven. When you call It Is Fixed Appliance Repair, you may not even have to wait a day. Our pricing is fair and up-front. You know exactly what to expect when you get our no-pressure estimate. If you choose It Is Fixed, the diagnostic service is 100% free. 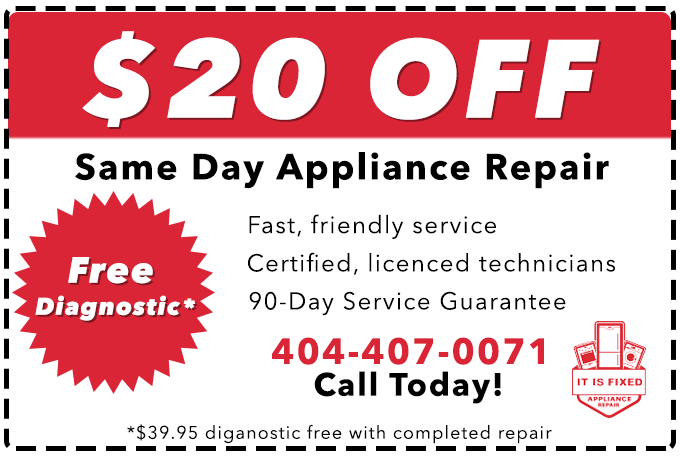 If we help you decide that you’re better off with a new appliance, the only charge is a low $39.95 diagnostic fee. However, you can save even more by using our online form to request an appointment. We are always looking for new ways to help save you money! We don’t just promise quality, we guarantee it. Every repair and service is covered by our 90-day warranty. Our technicians are honest, clean, conscientious, but most importantly, they are highly-trained and knowledgeable about appliances. Whatever your need, we can find the answer. It Is Fixed is a full-service provider for all your appliance needs. If you need help buying a new appliance, or getting one removed or installed, we happy to help! If you want peace of mind that you are getting the best service at the best prices, call It Is Fixed Appliance Repair. Clothes Not Getting Clean in the Wash? Don’t let dirty laundry win. 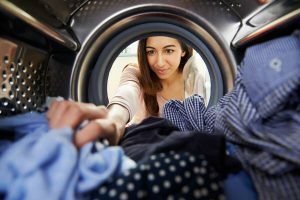 If your washer is leaving residue on your clothes, you may be able to fix the problem yourself. Follow this guide to get your laundry clean again. 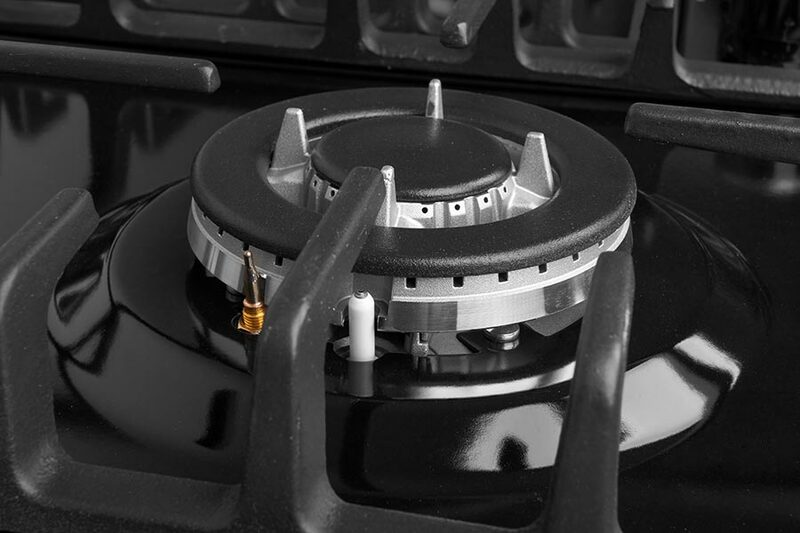 Whether you’re a gas-stove-novice or a pro, it can be a little troubling when your gas stove won’t light. These quick, safe tips can help you locate the issue and put the heat back in the kitchen. When it comes to drying, two cycles is too much. If your clothes are still damp at the end of the cycle you may have a quick-fix problem or something more serious may be going on. Read this guide to find out! Customer service was great and they had a reasonable price. Thank you guys for fixing my oven definitely was not trying to buy a new one! Thanks for fixing my refrigerator like brand new. Keep up the good work.